Common Myths About Online Health Insurance in India - Voices In Finance – Latest news on financial planning from professionals. Some individuals don’t even think about purchasing health insurance policy let alone considering buying online health insurance. But times have changed. Growing medical costs and bills have persuaded people to turn to these plans as a way of getting good treatment without spending entire savings. 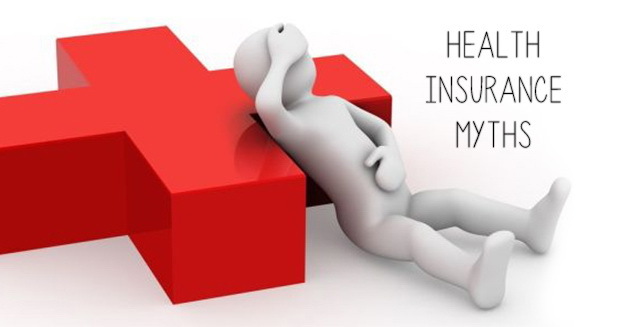 However, there are still a few myths surrounding health insurance. Here are a few of them and the actual facts behind them. Whether online or otherwise, signing up for an insurance policy that comes with the lowest premiums is not a good idea. This is because policies with a low premium have limited offerings and invariably key features are not included in the plan. Paying a little bit extra can help you avail updated policy versions that come with central benefits. Many insurance policy holders believe that their claims are denied because of the policy’s inability to cover certain medical incidents. On the contrary, the claims can be declined owing to the waiting period. The period you have to fulfill in order to avail certain additional benefits such as cover for pre-existing illnesses is already mentioned in the policy document. Unless you complete this criterion, you won’t be paid for certain medical conditions. Online health insurance policies are made possible so that they can benefit customers, especially those who find it difficult to head to an offline insurance company. It is a more convenient way to check out the same offline policies, their benefits offered as well as terms and conditions. Having said that, online policies do come with a lower premium since no agents or middleman is involved. Choose wisely and you can get the best health insurance plan that suits your needs perfectly. You need to check your group insurance policy well and see whether it covers the needs and requirements of your family well. If you find that there are certain conditions that are going unnoticed, you need to purchase an additional individual policy. An individual policy comes in handy especially when you are switching jobs or retiring. This is completely untrue. You do not need 24-hour hospitalization in order to make an insurance claim. This is because all procedures and treatments do not require 24 hour hospitalization. For instance, in cases of dental procedures (check if they are covered by your policy) and cataracts. See that you go through the day care procedures covered so that you know for sure whether you have to be admitted for 24 hours before making a claim. These are a few myths debunked so that your concept of health insurance is simplified in a better way. Whatever you do, be sure to first compare health insurance plans online and take a close look at the fine print before signing up for one. Previous Post:Can I Get a Personal Loan Without Documents?